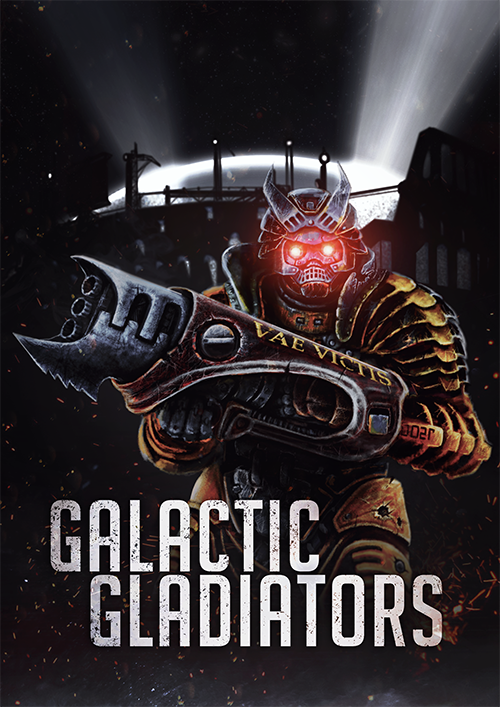 Galactic gladiators is a competitive first person shooter set in a brutal future. Will you be the one to dominate the arena? Now that we have finalized the look and feel of our first level it is time to take it a step further. As you might know, our game is build around a 4 player deathmatch where you fight 3 rounds. After each round the game pace picks up and new elements get added. That was the idea! Now what are these new elements? Let me show something that our lead modeler quickly drew! Our level is just a bunch of rings. On the edge of these rings we will have flame traps moving around. In the first round these might do nothing. In the second round only one of the three flames on each flame trap might get activated. So you need to watch out! and two flames in the third and last round, making it even harder to dodge them if you are not aware of your environment. Additionally we also have what we call "The Mystery Item", this is a mario-kart styled item that will give you a random power. 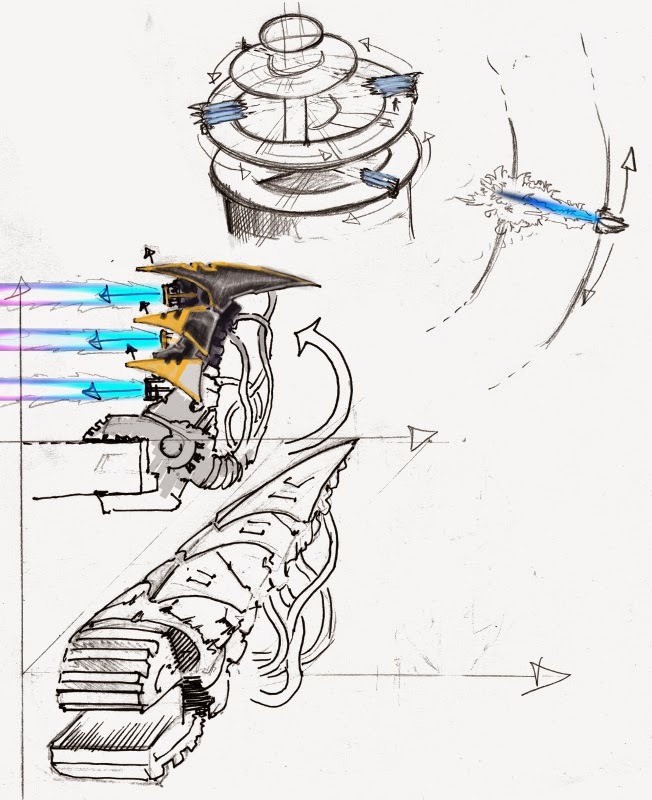 One of these powers will enable you to activated all the flame traps, and any kill they get you will get! Besides the flame traps the level itself will also change shape after each round. Making it harder and harder. But we will go more in-depth about this later! Let us know what you think. We want our game to be fun, and while our genre might be the arena shooter genre, the sky is the limit and it doesn't mean it has to be a game like all the others. Also check out our trailer on our indiedb page if you haven't already. And don't forget to follow our project so that we can keep an open conversation about our up and coming design decisions. Galactic Gladiators is an extremely fast paced competitive arena shooter. Interview with Lead Sound Artist of galactic gladiators - Jef Aerts. Seems like a pretty awesome concept to me! I'll track it.